From Bintang Bolong lodge we payed for a lift with one of the employees. I got dropped of in Kololi, where I rented an apartment. Somehow my reservation didn’t come trough properly. But Ibrahim, the supervisor arranged it really quickly. They cleaned the room. The apartments Kerr Sering are in the neighborhood of Kololi. It will take about 20 minutes to walk to the beach. Since I got lost on the arrival day, Ibrahim wanted to take care of me and showed me the way. For the way back I could text him, so he would pick me up. 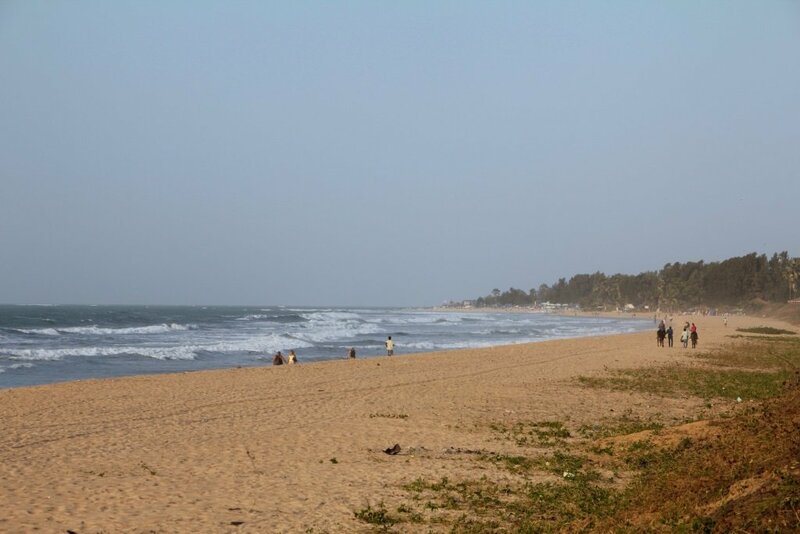 The Senegambia strip is a street with loads of restaurants and hotels. The biggest hotel is called Senegambia hotel. Since I looked like a tourist, I could just walked in and use their facilities. So for the next days I hang around here, relax on the beach or pools. The hotel looked really nice, with a well kept garden and a private beach. 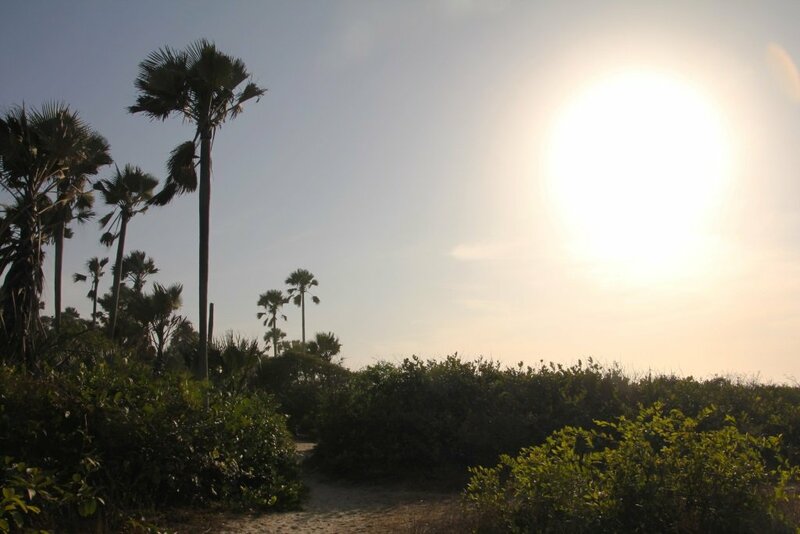 Close to the Senegambia strip there is a protected forest. It is called the Bijilo national forest. The forest is settled next to the beach and with only 126 acres it has a few nice trails. The park also goes by the name of Monkey park. So it would suggest there are monkeys to spot. At the end of an afternoon I took a walk to this forest. It is easy to get there. The entrance is for free, but if you want a guide they expect you to pay a tip. You are forbidden to take peanuts or other food and feed the animals. Africa wouldn’t be Africa when they sell peanuts only 10 meters after the sign, so you can feed the monkeys. I wanted a guide, just to tell me more about this park. He took me along the trails and explained a bit about the park. 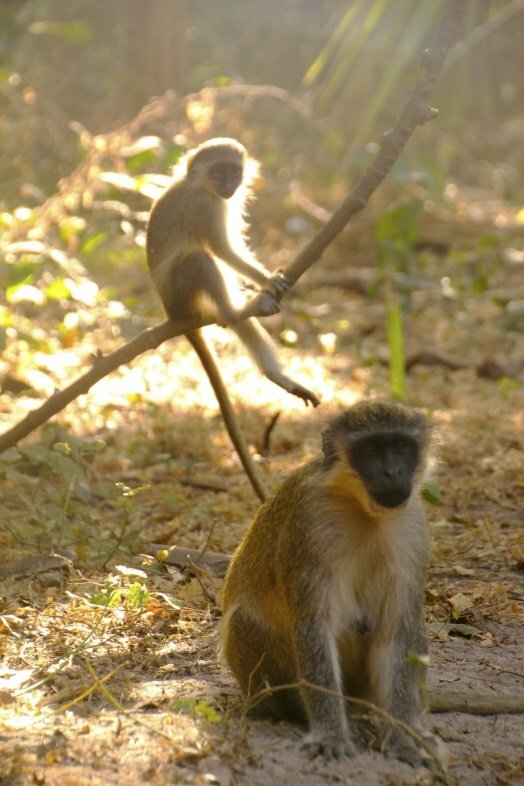 There are different types of monkeys, green vervet and red colobus are commonly seen. And of course there are many species of birds. 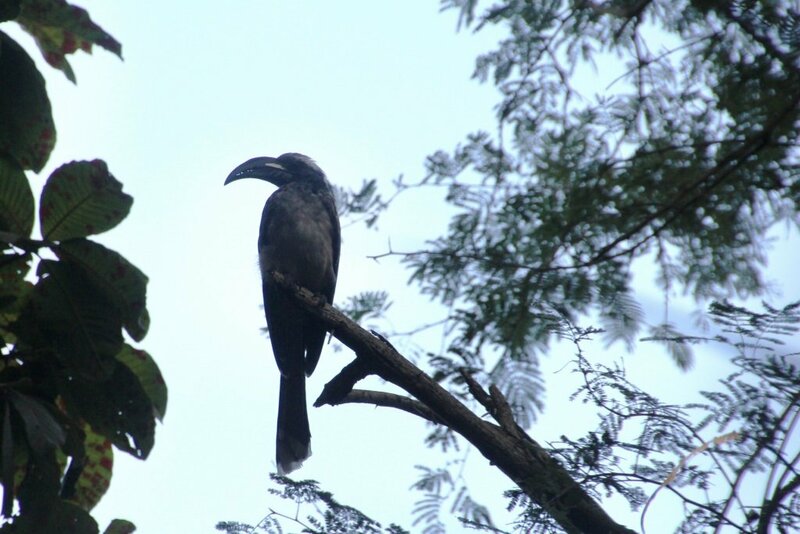 This might take some patient, or you can book a special guided tour for spotting birds. The walk was really pleasant. 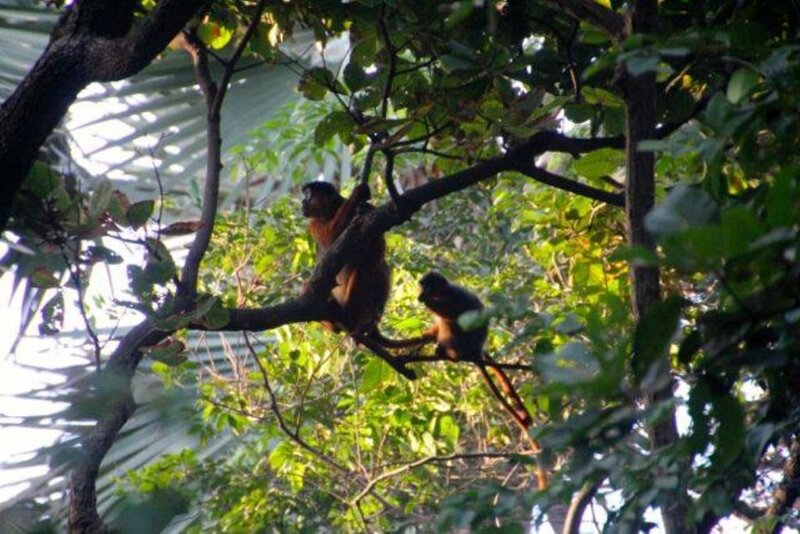 I saw the most common monkeys. 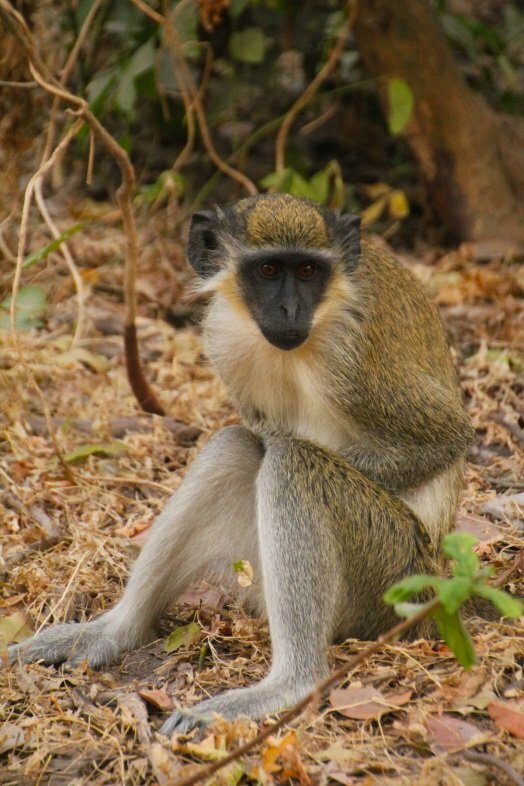 The green vervet monkeys are not shy at all, and it was a great opportunity to take their pictures. 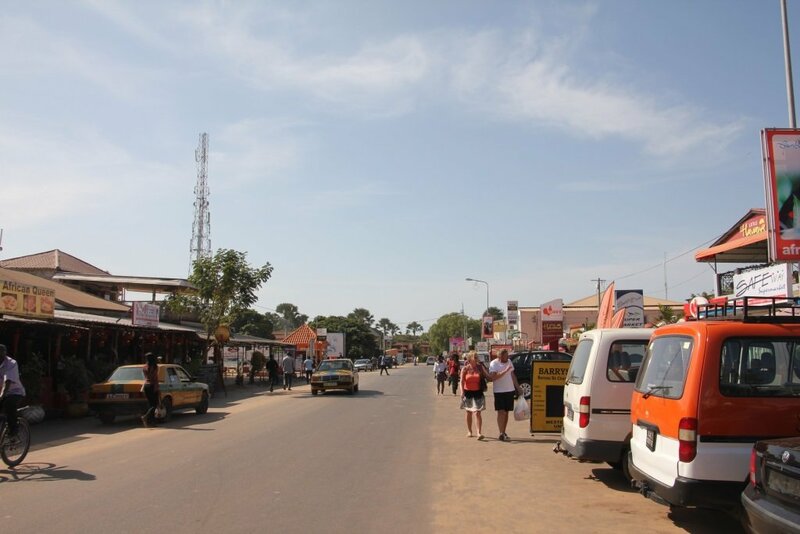 Serrekunda and Brikima market are both famous markets. The first one is a market where they sell clothes and foods. Brikima is well known for the great wood craving workplaces. Ibrahim took me to both markets. I didn’t want go by myself, since I stand out with my blond/ginger hair. And I know when I’m going to walk on my own, the man will approach me all the time. I needed a guide to show me the markets and maybe explain a bit more about the Gambia. Ibrahim is a relaxed person. First we went to Serrekunda market. The small streets and shops where really confusing. There was so much for sale. But the people where again anxious about my camera and people didn’t want me to take their photo. We took the small buses to Brikima market. You can say this is a more tourist market with the woodcarving. If you are interested, they show you how they make the wooden statues. To me this was really interesting. I got myself a lot of pieces. The prices where low and I found it fun to negotiate. Unfortunately I had a problem with the storage of my pictures. I lost almost all the pictures of the last few days. Even it was only a 12 day holiday, I still had the feeling I was away for at least a month! There is so much to see and to do. 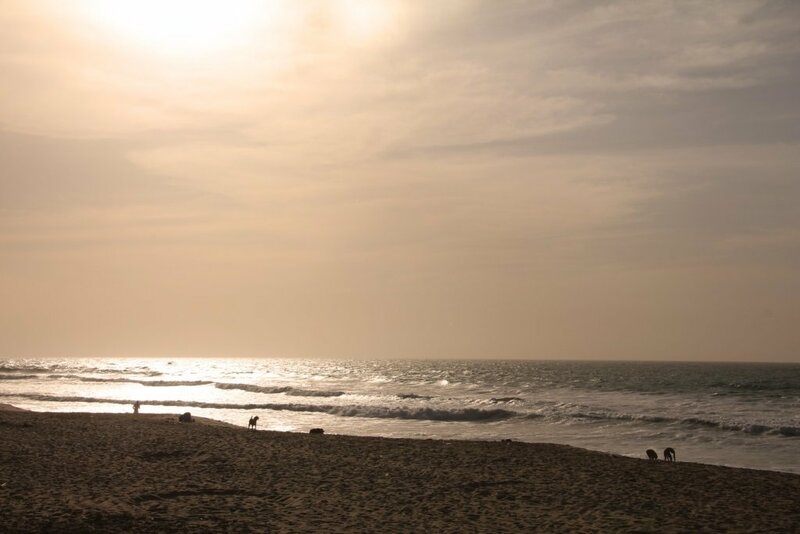 It can take a while to get around, but it wouldn’t cost much and you can experience Africa. These countries would be ideal to travel solo and for first time Africa visitors.